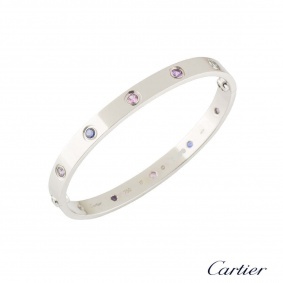 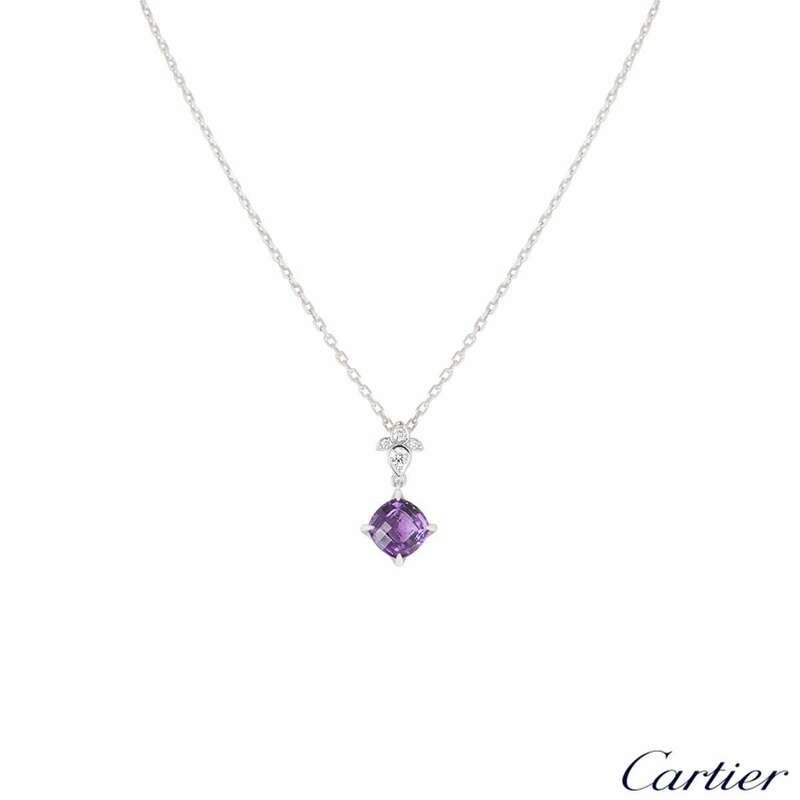 An 18k white gold amethyst and diamond pendant from the Lotus collection by Cartier. 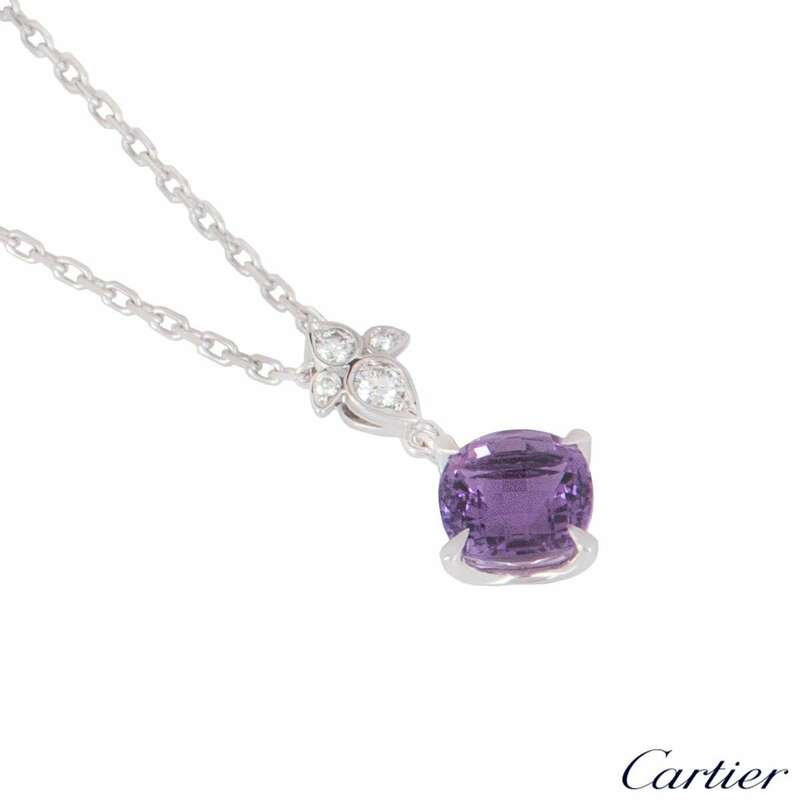 The pendant features a faceted cushion cut amethyst suspended from a diamond set lotus motif. 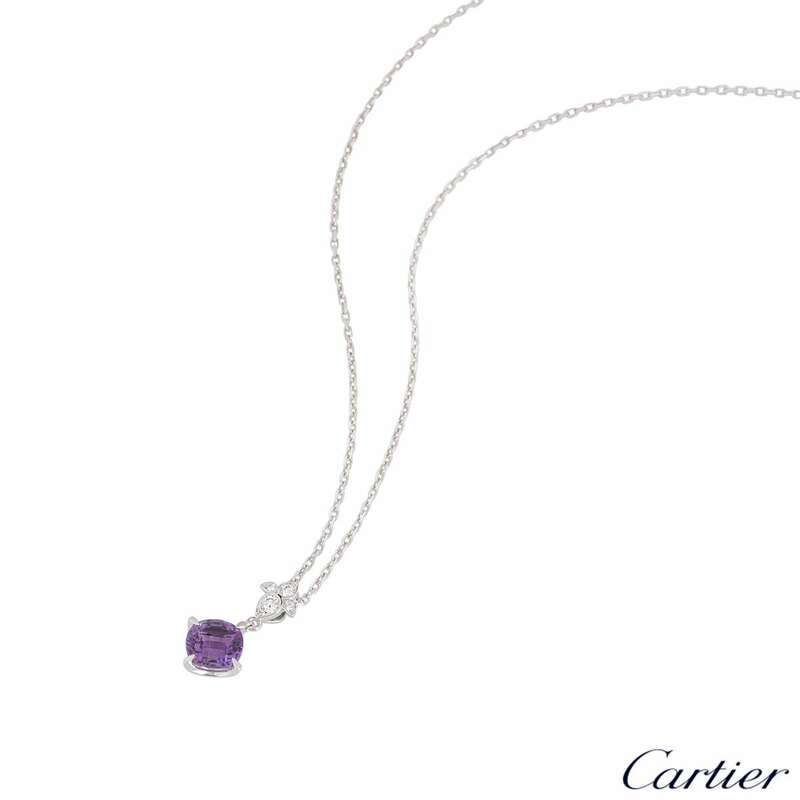 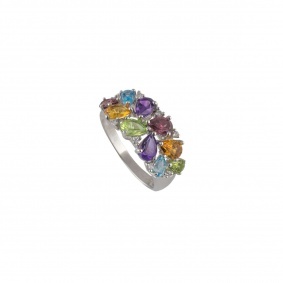 The amethyst has a total weight of approximately 2.20ct and the diamonds total approximately 0.10ct. 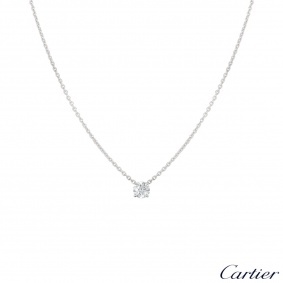 The pendant comes on an original 16 inch Cartier necklace, complete with lobster clasp and has a gross weight of 4.79 grams. 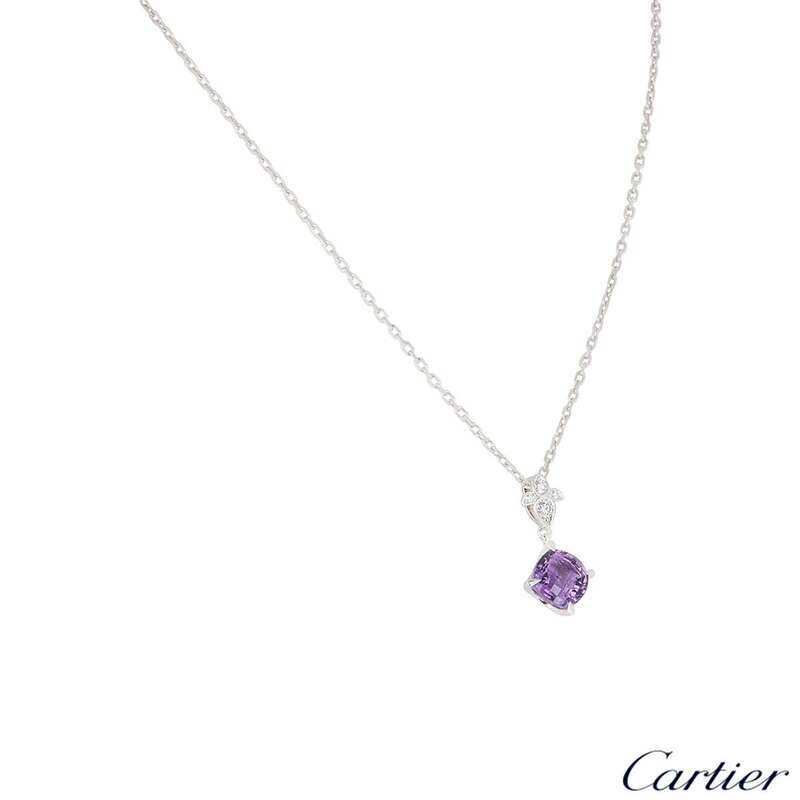 The pendant comes complete with a RichDiamonds presentation box, Cartier papers and sales invoice dated November 2008.